Members of the Rosemary Mennonite Church community and the Siksika Nation gathered together on Jan. 4 to praise God for the life of Alvin Lepp. Lepp was an active member of the church, a farmer, and a school bus driver. He is especially remembered for his life and service among the Siksika people. He officially served in the Conference of Mennonites in Canada’s Native Ministries program for 19 years, and his many good friendships and involvements continued long after he retired. Lepp had a great passion for sharing the gospel, and his love for people was obvious. He led many Bible studies in homes and distributed Bibles as well as recordings of Scripture read in the Blackfoot language. He visited people when they were in hospital or in prison and always tried to help those who needed it. 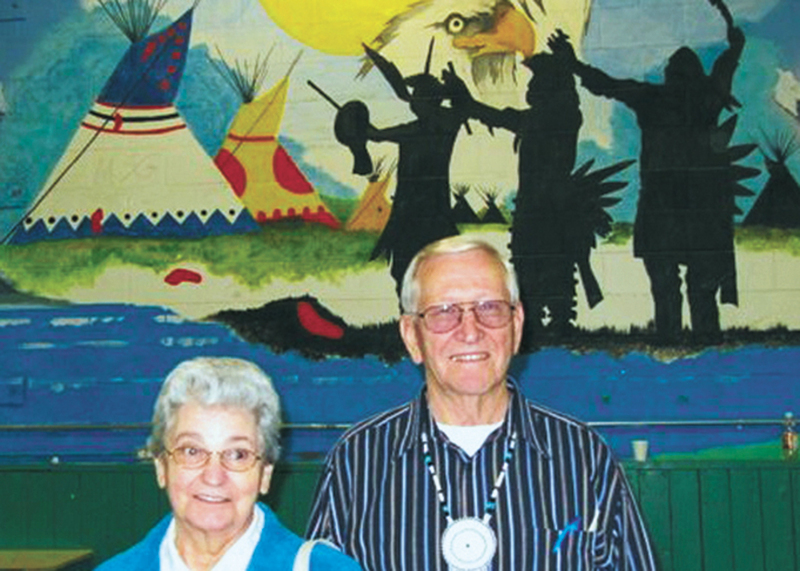 In the 1980s, Lepp encouraged Siksika youth and young adults, including Yellow Old Woman, to attend both Camp Valaqua and the Swift Current Bible Institute. Marvin Baergen and Hugo Neufeld both served on boards with Native Ministries in the 1980s and worked with Lepp. Asked what they remember of him, both immediately referred to his enthusiastic and warm relationships with the Siksika people. “He knew so many people,” Baergen said. In his funeral tribute, Yellow Old Woman thanked the Rosemary church for the support it gave to Lepp. “He couldn’t do it alone,” Yellow Old Woman said. Lepp is survived by his wife of 62 years, Helen (Retzlaff), four children, 11 grandchildren and 20 great-grandchildren. We will really miss seeing Alvin when we are back in the area. We had so many wonderful visits with him and Helen in our home in Gleichen, and in their home on the farm and in Rosemary. Over their growing up years, our kids were blessed with many boxes of nice used clothing. The translation of St. John's Gospel and The Acts of the Apostles in Blackfoot reached a large number of people on all four reserves and in prisons and hospitals through his faithful service in making them available and encouraging people to use them. As our co-worker among the Blackfoot, he constantly encouraged and cheered us on.